Mallorca has three airports; did you know? There is Son Sant Joan, there is Son Bonet, and there is an airbase in Port de Pollença. The Aeròdrom Militar de Pollença was built in 1937, seventy-five years ago this year. At that time, the Spanish Guerra Civil was in full swing; General Franco was well on his way to assuming power with his iron fist. Earlier this week, a commemorative act was celebrated for the 75th anniversary of that airbase, calling for a largish assembly of the Mallorcan bigwigs. I was not invited to the commemorative bash; why should I have been? Thus, I made my way to Port de Pollença yesterday, where I had a minor confrontation with a young female from the Military Security personnel. Supposedly I am not allowed to take a photo of the main gate to the precinct, and no-one else is either. Well, I never. 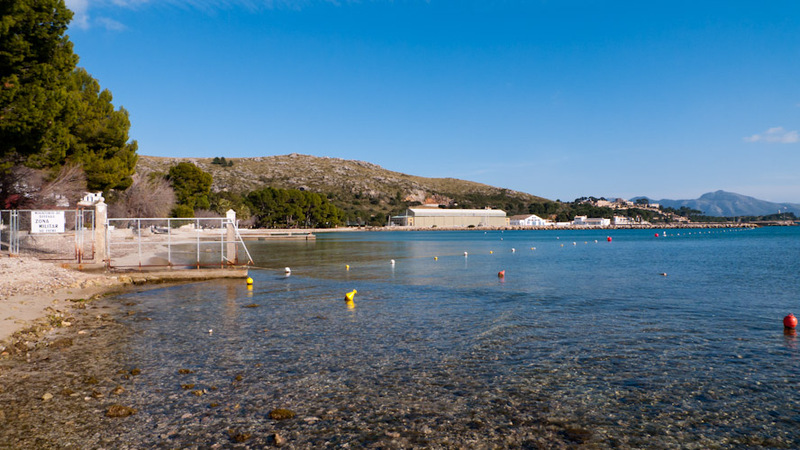 The Pollença airbase is primarily geared for amphibian aircraft and seaplanes. 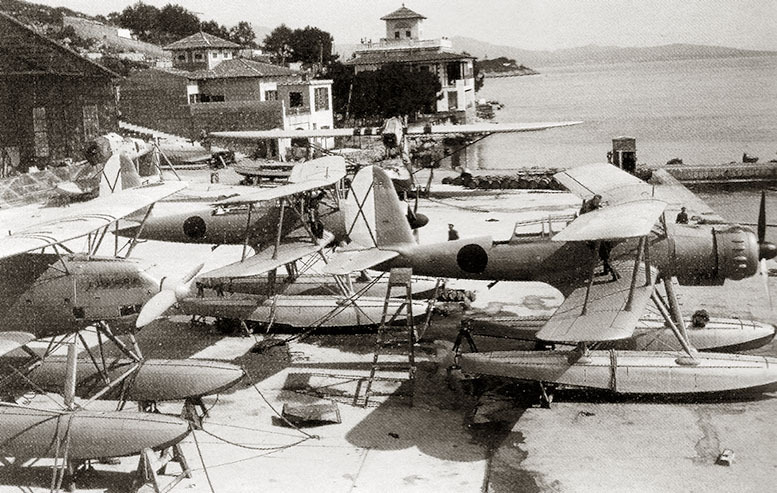 The first such aircraft were submitted by the Italian Air Force in early 1937, which already had their base in Mallorca’s Aeródromo de Son Bonet near Palma. 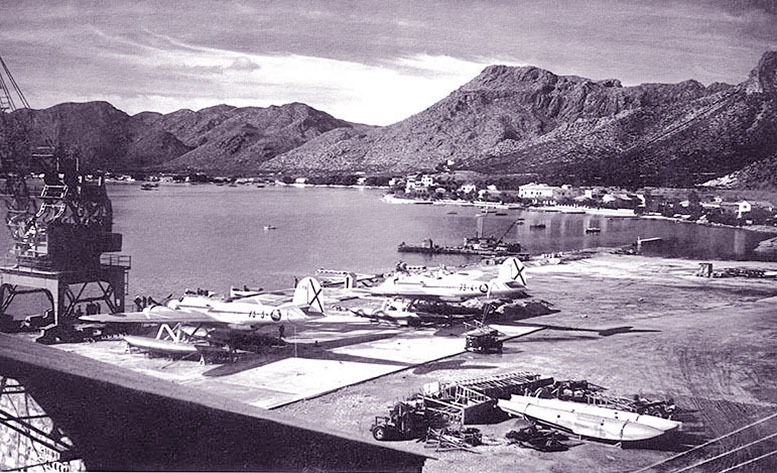 As of 1954, a number of Grumman SA-16 were stationed in Pollença and later a couple of Dornier 24. The Grumman SA-16 were withdrawn from Pollença in 1960 and moved to Palma. They were replaced with a number of CL-215 CANADAIR, principally equipped for the extinguishing of forest fires. Nowadays, the Pollença unit forms part of the Spanish Fuerzas Auxiliares de Apoyo Operativo del Mando Aéreo General de la Fuerza del Ejército del Aire and comes under the Ministry of Defense in Madrid. 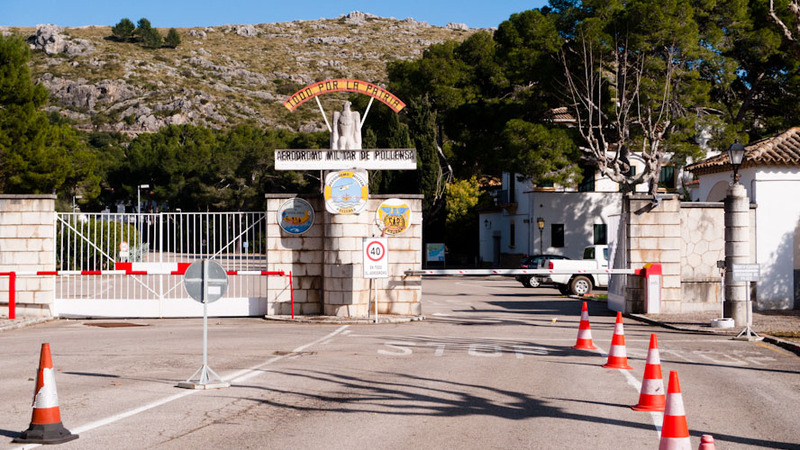 There is some local opposition to the airbase in Pollença claiming that in our modern age, the military base does not serve much of a purpose, apart from its forest fire fighting capacity. I think it is quite possible that before long, the Aeròdrom Militar de Pollença may change its purpose yet again or indeed, may simply cease to exist. The photos (colour, top) were taken in Port de Pollença, Mallorca, Baleares, Spain. The date: February 22nd, 2012. The time was 15:18:33 and 15:26:21, respectively. The photos (b&w, bottom) were borrowed from the Internet, courtesy of requetes.com and elsitiodejactres.blogspot.com, respectively. Really enjoyable read. Have been coming to Puerto Pollenca for thirty years and enjoyed watching the planes come and go and doing their practice runs in the bay. My children have always enjoyed walking along the pine walk to get as close to the base as possible. Have taken some really good photos of these aircraft over the years. Thank you, you just made an English plane spotter very happy!